Rationalist Judaism: The Official Museum Opening Ceremony! 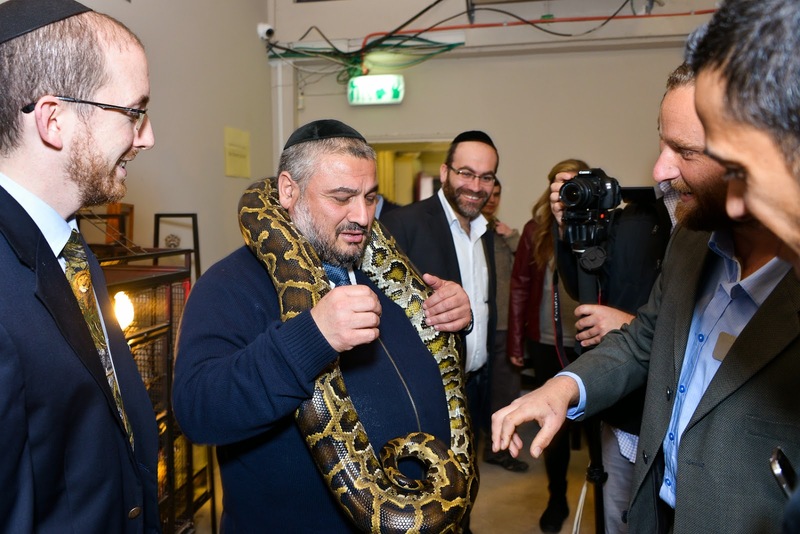 Mayor Moshe Abutbul with a reptilian friend. Councilor Moshe Montag looks on in amusement. 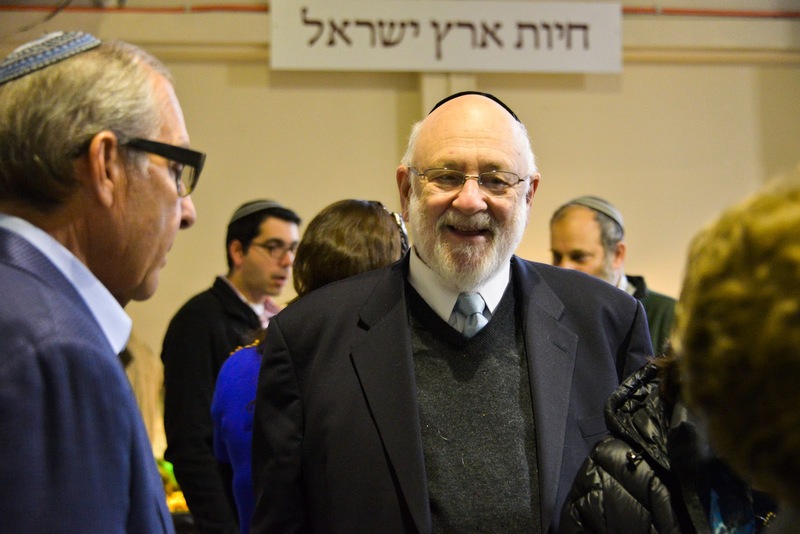 We were also honored by the presence of Beit Shemesh mayor Moshe Abutbul, deputy mayor Shmuel Greenberg, and city councilors Moshe Montag and Motti Cohen, as well as Executive Vice President Emeritus of the Orthodox Union Rabbi Dr. Tzvi Hirsch Weinreb (Rabbi Berel Wein was also due to attend, but was unable to make it). The mayor surprised everyone by being so interested in all the animals that he wanted to handle everything! Minister Livnat, Mayor Abutbul, distinguished Rabbanim and guests, good afternoon. Thank you all for coming here today, to celebrate the launch of Israel’s newest museum, The Biblical Museum of Natural History. I am particularly pleased to have one of our major benefactors here today from Beverly Hills, Mr. Lee Samson, who aside from helping tremendously with providing and raising funds and guidance for the museum, is also a wonderful father-in-law! I would also like to thank my hard-working colleagues at the museum – Maayan Steele, Shlomo Horowitz, Noah Persky and Chaya Leah Maierovits, as well as all of our volunteers. And I would like to express my deep appreciation to my wife Tali, who has put up with lots of animals taking over our house, and who has been such an amazing source of encouragement for me to build this museum and get the animals out of our house! Biblical natural history is a very powerful educational concept. From dati to haredi to secular, many Jews perceive Torah as a dry discipline that is focused upon the synagogue, study hall and written word. 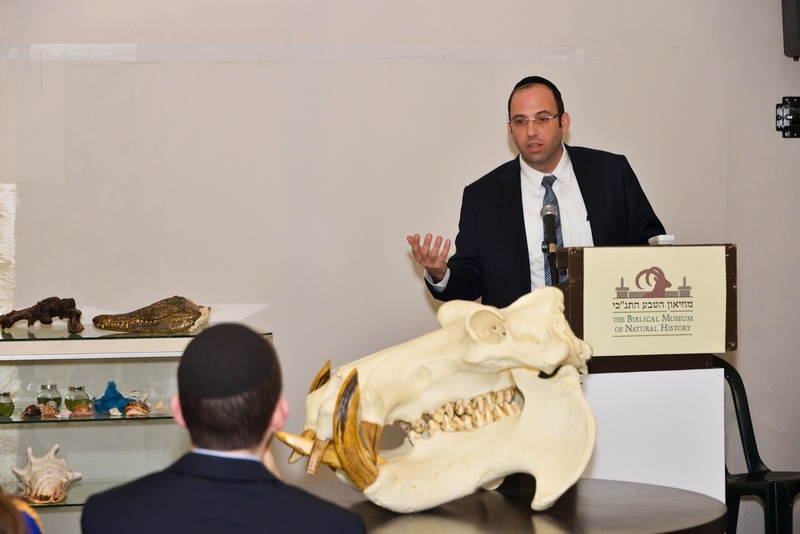 Biblical natural history brings Torah to life; it shows that Judaism can engage with the natural world, and presents educational concepts in a novel and exciting way. Biblical natural history also clarifies little-understood concepts. What did the prophets and sages mean when they drew upon the animal kingdom in presenting messages to us? Which are the kosher and non-kosher creatures described in the Torah? What role did various animals play in Biblical and Jewish history? Biblical natural history sheds light on all these questions and many more. Biblical natural history also enhances appreciation and understanding of the natural world itself. Many of us today are very urbanized and out of touch with the natural world. There are countless teenagers who cannot apply themselves solely to Talmud and lack an outlet for their broader interests. Biblical natural history puts us in touch with the beautiful world that surrounds us and re-sensitizes us to it. I have been writing and teaching about biblical natural history for nearly twenty years, in books, articles, lectures, and educational tours at zoos across the world. But it is with this museum that it finds its most powerful expression. This museum is a place that brings it all to life in the most vivid and interactive way. Seeing the animals up close and personal, touching and holding live animals, feeling the horns and the fur and the teeth and the claws – these are immensely powerful experiences. We have been setting up the museum in this temporary rented facility over the last few months. In the short time that we’ve been receiving visitors, we’ve had datiim, charedim, mitnagidm, chassidim, chilonim, Anglos, Israelis, Brazilians, Jews and non-Jews. Following requests that we received, we are training Yiddish-speaking guides. We’ve had bar-mitzvah groups, corporate groups, many yeshivot and seminaries, Birthright groups, and even a group of Christian Bible scholars from Europe. 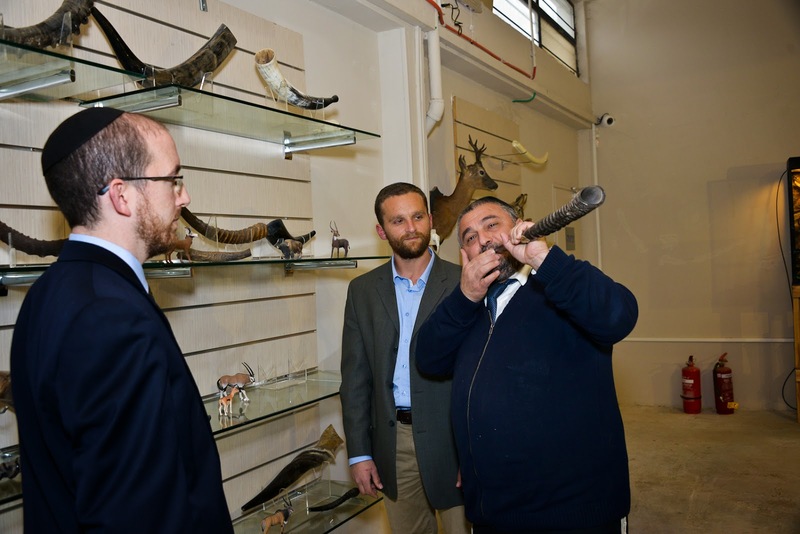 Beit Shemesh is a city with many diverse communities, but the Biblical Museum of Natural History is a place that everyone can enjoy and appreciate. Please spread the word about the museum, and check out our new website at www.BiblicalNaturalHistory.org! 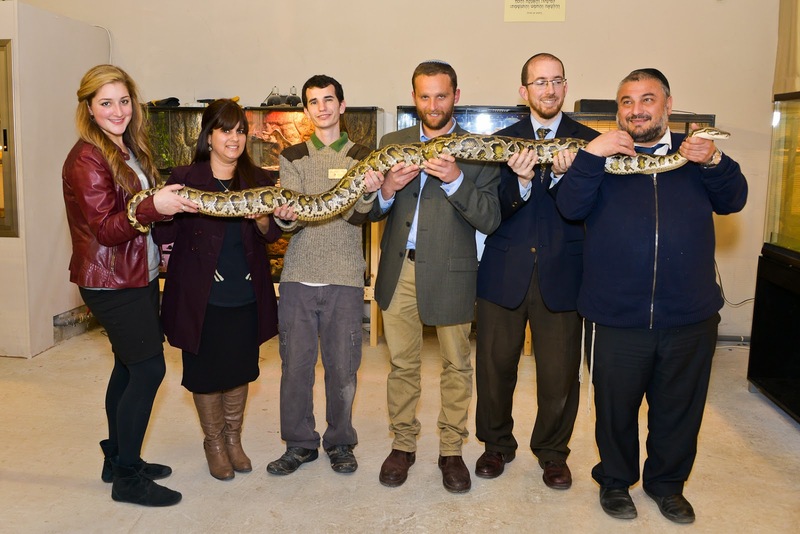 director Maayan Steele, assistant curator Noah Persky, director of youth education Shlomo Horowitz, and general director Rabbi Natan Slifkin, posing with mayor MosheAbutbul and burmese python Kaa. Does the good mayor know what you wrote about him during the elections? Mildly ironic that he and you are here posing together like two kindred souls. You know, Baal HaBoss, I think that you've hit the nail on the head: Rabbi Slifkin has succeeded in creating a space in which all Judaism converges. The Mayor had obviously set aside a ten minutes slot to show his face yet stayed for an hour as he couldn't restrain his fascination with one exhibit after another! Mazel tov. May this be the beginning of a wonderfully successful venture. mazal tov. 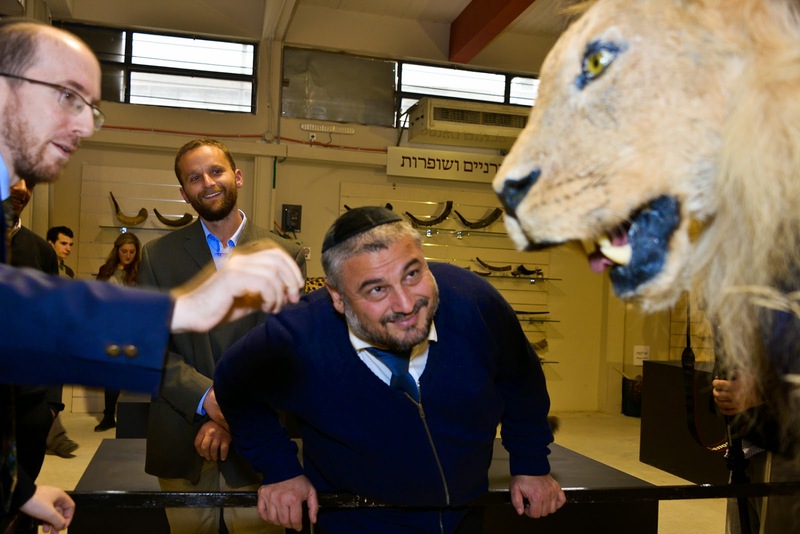 I wish you much success in this biblical nature museum/zoo venture. Hopefully, visitors will have as much fun as the mayor. Behatzlacha! And I think there should be a "best caption" contest for the group snake photo. Where specifically is a Burmese python mentioned in Tanach? With sheratzim, we went for other species that are of the same min, since it is difficult from both a legal and practical standpoint to keep the Israeli species. One constriction away from a new election. Best wishes and b'hatzlacha! You have created something truly unique. Mazal Tov. Regrets that I was not in Israel to join you. I am sure this will be an important institution contributing a significant dimension to Torah education. B'hatzlacha. Congratulations, Natan, on an important contribution. Hope it is a great success! Cioran wrote, "A world without tyrants would be as boring as a zoo without hyenas." 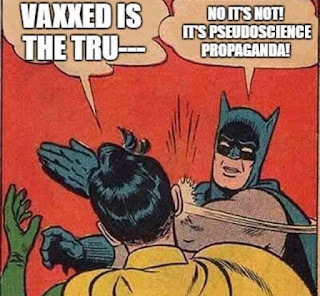 What do you think he meant by this? What characteristic do hyenas have that would make them compared to tyrants? Congratulations and mazel tov. We will definitely visit the museum when we next visit Israel, hopefully within the next year. Congratulations! I look forward to visiting on my next trip to Israel!! !